Sudan held its first multiparty elections in 24 years on 11-15 April, but the election has been marred by opposition boycotts and allegations of vote rigging. Preliminary reports from the election observation teams have been mixed. All note multiple cases of irregularities, but differ in their degree of criticism and broad judgment of the process. Nearly all agree the elections are a core part of Sudan’s 2005 Comprehensive Peace Agreement (CPA), and even if flawed, represent an important step in the implementation of the peace deal. The election falls short of international standards, according to The Carter Center, an organization founded by former US President Jimmy Carter and his wife, Rosalynn. The Center said its 70 observers - spread across all 25 states - noted “important flaws”, including inadequate protection of political freedoms, problems in the voter list, a range of logistical troubles on the election days, insufficient transparency in the electoral process, voter intimidation in the south, and the ongoing conflict in Darfur. The preliminary statement from the European Union (EU) echoed observation of many of the same flaws, but focused its blame on a highly complex electoral design which it said led to confusion during the process’s implementation. Civic voter education was “too little and too late” to make a difference, said its statement, and polling staff themselves had difficulty navigating the complexity. “The Sudanese people are to be congratulated on the patience and forbearance shown by their considerable voter turnout despite the challenges,” said the statement. The elections also suffered from a lack of strong competition, according to the EU, which described the campaign as highly dominated by the nation’s two ruling parties. The team of 134 European observers also pointed to restrictive free speech laws and the repression of independent media as tarnishing the campaign period, but said the elections “pave the way for future democratic progress”. A group of northern domestic observers offered especially harsh criticism. 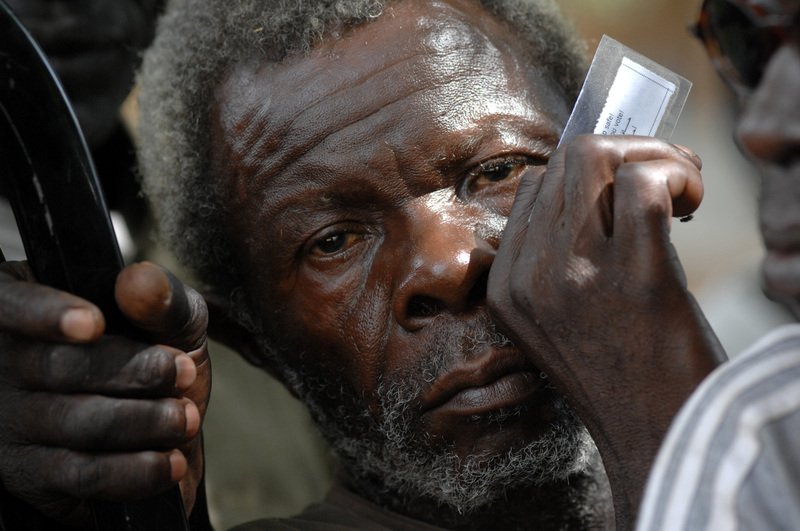 Each step in the electoral process, from the census to the registration, campaigns, and voting were characterized by “major deficiencies”, said a joint statement representing the collective work of 3,500 local observers across the north, put out by civil society umbrella group TAMAM, NGO coordinating group the Civic Forum, and advocacy group Justice Africa. “All these failures led to the corruption of the election process and opened the door wide for malpractice and fraud,” said the report. The joint statement called for the “fraudulent” results to be rejected, and called for “real” elections to be reorganized from scratch following the Southern referendum and a realization of peace in Darfur. Preliminary reports from Sudan’s African neighbours were less biting. Elections in a place like Sudan - which faces challenges due to its geographic size, underdevelopment, high rate of illiteracy, an unfamiliar voting system, and ongoing and historical instability - cannot be held to international standards by developed nations with longstanding democratic traditions, argued the preliminary assessment from the African Union’s 50-member observation team. The elections, it argues, are “imperfect but historic”, and a huge milestone for the peace and democratization of the country. The 37-member team for the Inter-Governmental Authority on Development (IGAD), a Horn of Africa bloc of nations instrumental in mediating the 2005 CPA, mostly concurred. Despite discovering a wide range of irregularities and anomalies - including missing names on voter lists, voter confusion over locations of polling stations, delays, and inadequate privacy provisions to ensure secret ballots during polling - the IGAD team concludes the elections are “credible”, considering the big challenges in holding such a vote. The head of a 50-strong delegation of observers from the Arab League also gave the vote a largely positive verdict. Salah Halima said that while the elections did not meet international standards, they nonetheless represented “a big step forward compared to other countries in the region” and did not “minimize the experience of democratic transformation for Sudan”. “The Sudanese government has opened up space of democracy and we must make the most of it. They [the elections] were an achievement despite the deficiencies. There was no evidence of fraud, but there were deficiencies and mistakes. These mistakes, however, do not greatly affect the results," Halima said. The major international guarantors of the CPA appear to already be looking past the elections towards the Southern referendum. An 19 April joint statement by the USA, UK and Norway - known as the Sudan Troika for their collective role in brokering the 2005 peace deal - notes that the assessment of independent observers has been that the elections will fail to meet international standards, but called on Sudan to begin in earnest border demarcation and referendum preparations. “The CPA remains essential for peace and stability in Sudan and the region. We urge all parties in Sudan to resume and accelerate work to complete its implementation,” it concluded.